This RECREUS 1,75mm hot end is optimized to print Filaflex and other common materials like PLA, ABS, HIPS, NYLON, PP, PVA AND PET. 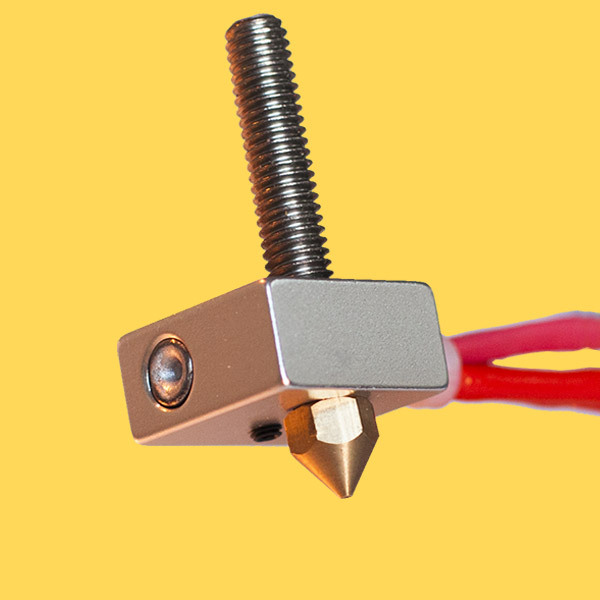 The hot End is compatible with Prusa I3, Witbox, Leapfrog and Makerbot Rep2 (not 2x, neither 5th gen) and others. The parts are made in high quality stainless steel, PTFE and brass for the 0,4MM nozzle.